Final Fantasy XII polarised fans when it came out a decade ago, but it’s undoubtedly one of the series’ best. The Zodiac Age gives it a new lease on life. When Final Fantasy XII first came out in 2006, I was one of the many people who really didn’t like it. I was 16, at a time in my life when all I wanted was a classically-styled Final Fantasy game; instead, I got something that was very different. I couldn’t understand how it got such a strong critical reception when it was so ~obviously~ bad (remember, when you’re 16 you know everything), and chalked that up to reviewers being blindly fanatic or paid off. In the decade since, it’s a game I’ve come to appreciate a bit more. I haven’t played it since the month of its original release, so this newfound understanding was based more on hazy memory and wishful thinking than any solid attempt to give the game another chance; nonetheless, I started to see its new direction as something to be championed rather than scorned. Needless to say, I’ve been very eagerly looking forward to Final Fantasy XII: The Zodiac Age, so that I could finally give the game another honest go. Now that I’ve finally been able to do just that, I can honestly say that XII is absolutely one of the best Final Fantasy games, and not just because of The Zodiac Age’s efforts to polish it up; Final Fantasy XII has been a masterpiece since it first came out, and this new release is just another opportunity for the game to shine. Yes, Final Fantasy XII is very different to anything that came before it. Random encounters and turn-based combat are gone, in favour of something more akin to a singleplayer spin on an MMORPG. It takes place in Ivalice, the same Middle East-inspired world as Final Fantasy Tactics, which has a very different look and feel to the sorts of high fantasy and science fantasy worlds that populate the rest of the series. The soundtrack, composed by Hitoshi Sakamoto rather than series stalwart Nobuo Uematsu, has a more mellow, ambient feeling. The story is classic Final Fantasy – a rebel uprising against an evil empire – but with a heavier political bent and seen through the eyes of a secondary character. All of these are departures from the norm to some extent – though not to the extent that 16-year-old me though – but none is inherently bad by virtue of that. 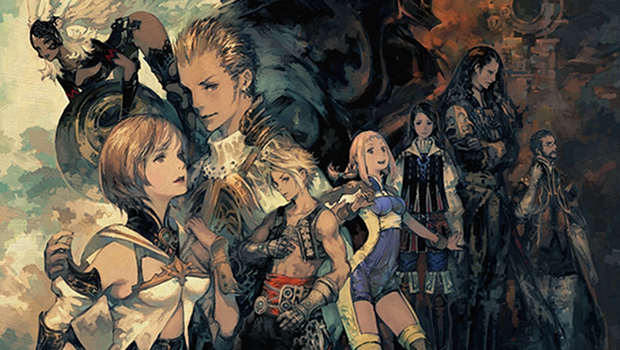 In Final Fantasy XII’s case, all of this comes together to create a remarkably cohesive world. The Arabian Nights aesthetic, the muted art direction, and the atmospheric music all give Ivalice a sense of place that few other games, not even within Final Fantasy’s esteemed back catalogue, can match. Regardless of monsters, magick, floating islands, Ivalice feels believable to the point of feeling real. The same was true of Final Fantasy Tactics, but the world in that game was still abstracted by isolated battle screens and shop menus, and lacked of any ability to really explore. That’s remedied in Final Fantasy XII, which isn’t a big world dotted with maps so much as a medley of naturally connected zones. It’s not seamless, but it has all the hallmarks of the best open-world design: a lifelike sense of scale, full of discoveries that all help build that sense of place, and where you aren’t gated from new areas for arbitrary mechanical reasons like not having reached that level yet, but by them simply being too dangerous for your party at its current level. One of the big criticisms that 16-year-old me had was that Final Fantasy XII didn’t have an overworld map, which I saw as a key element of a JRPG. But what it has is a natural evolution of the old overworld – a world of a similar breadth, but without the abstraction of simplified geography, distorted scale, and isolated locales that you have to zone into before you can see them in their full grandeur. XII wasn’t the first JRPG to use such an approach (Star Ocean did something similar a decade earlier), but it took it to new heights, aided by the cutting-edge technology of the time. As much nostalgic charm as there is in an overworld, it pales in comparison to a fully-realised world when it comes to instilling the feeling and atmosphere of a fully-realised world. 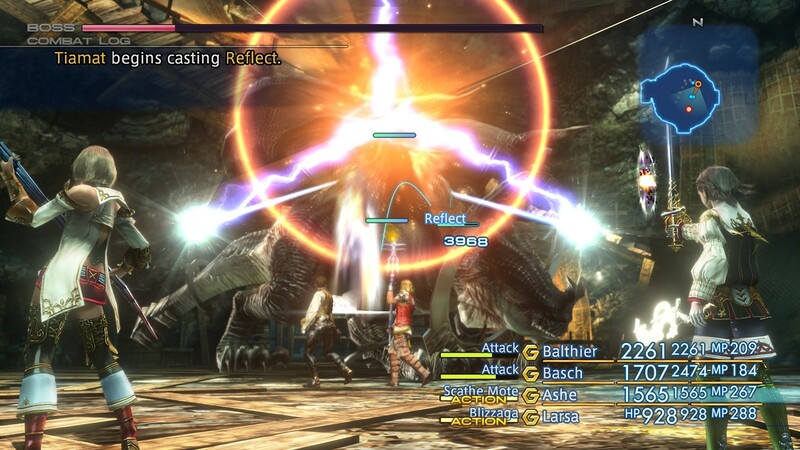 That being the case, it seems almost a necessity that Final Fantasy XII abandon the good old battle screen. It’s a game whose biggest achievement is the way it allows you to exist in a world and be part of that, so encountering enemies on the map and fighting them then and there in real time is a big part of that. As much as I love the old battle screen approach, Final Fantasy XII makes its enemies and the way you interact with them as much a part of the landscape as anything else. There’s a natural ebb and flow to running across the environment, stopping briefly to fight some assailants while scouting the area ahead, and then carrying on your way. Things like trying to bypass monsters that are too strong to fight or too weak to be worth the bother are part and parcel of exploring and existing in this incarnation of Ivalice. With that comes one of Final Fantasy XII’s most divisive systems: Gambits. With this game, Square Enix wanted to keep the party structure of the series, but without all the trouble of micromanaging a whole party’s actions in real time or falling back on AI that probably wouldn’t live up to expectations. Instead, they made AI its own game system, where you set party members to perform certain actions in certain situations with a list of simple logic statements. Each Gambit has two components, a target and an action, and a character will perform the chosen action whenever the chosen target is available. For instance, “Ally: HP < 50%” coupled with the Cure spell means that any time a party member’s HP drops below 50%, that character will cast Cure on them. As you play through the game, you earn new abilities as you would in any RPG, but you can also buy new Gambit qualifiers to expand the range of options, as well as increasing each character’s number of Gambit slots. What made this system so divisive when Final Fantasy XII first came out is that you can use it to essentially automate combat. With the right set of Gambits, your part will attack enemies, mind their own HP, take care of status ailments, and even do things like focus elemental spells on enemies’ weak points without player input. It made things “too easy” and reduced player interaction, or so people said. Firstly, that’s really only true for the regular enemies that you encounter along the way – the things that, in a traditional JRPG, are more a nuisance than any particular tactical challenge. Most bosses require at least some degree of hands-on control to augment the Gambit-driven AI, and for the big, secret bosses, an ironclad combat strategy is vital. The other side of this is that setting up Gambits is its own game of tactics; you don’t just set a button and let the game play itself. An effective Gambit setup requires thought and how abilities are paired, about party synergy, and about the specific threats that the current section of the game poses. The Gambit system allows all the strategy of a turn-based JRPG, but removes almost all of the tedium inherent in that design. 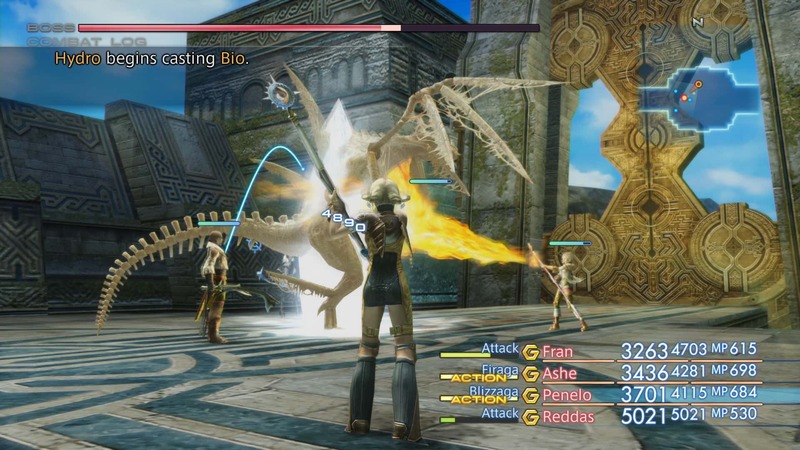 Final Fantasy XII also saw (and still sees) a lot of criticism for how it handles its story, particularly around the fact that the player-character, Vaan, is somewhat peripheral to what was going on. It’s easy to understand such complaints in a medium where the player-character and main character, in a narrative sense, are almost always one and the same. 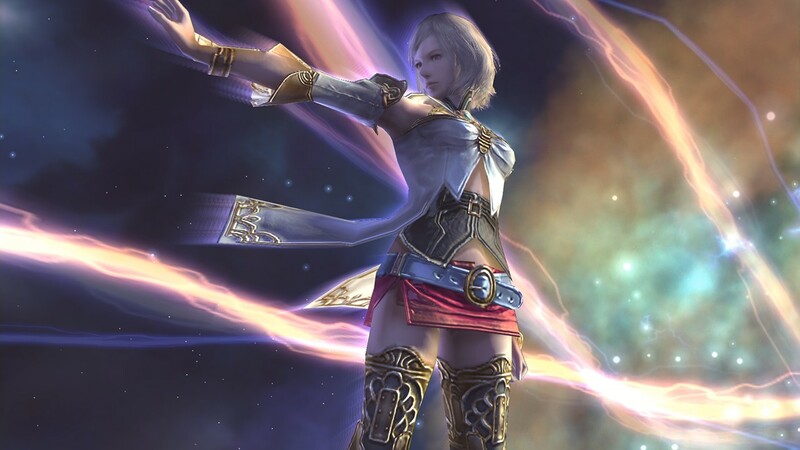 Final Fantasy XII, instead, is a story all about Ashe, but seen through eyes of someone who was part of her quest without ever really being a key player in it. This sort of second-person perspective a clever approach that opens a lot of interesting narrative possibilities, and allows the player to emotionally engage with the protagonist in a way that the more common first- and third-person story structures don’t. The rebel uprising story that unfolds through all this, as I said earlier, is classic Final Fantasy, but one that takes a nuanced approach to that premise. Instead of a cartoonishly evil empire, the antagonists of Final Fantasy XII are a more complicated bunch. Sure, there are the more heinous individuals among them, but there are also those doing the wrong things for the right reasons, the right things for the wrong reasons, and things that may not be wrong at all – inconvenient though they may be to our gang of upstarts. There are undeniable wrongs wrought at the hands of the empire, but Final Fantasy XII is a story about a world trying to navigate an unbalanced world trying to find peace after an age of war. There are no heroes here. Perhaps the biggest complaint, for 16-year-old me and a lot of other people, was that Final Fantasy XII just didn’t “feel” like a Final Fantasy game. While it’s certainly different for all the reasons listed above, I don’t think that’s true at all. It still has all the little superficial, nostalgic markers like recurring enemies, Chocobos, airships, and what have you. The music, though taking a different general approach, still finds place for new arrangements of those classic pieces like “Prologue” and the Chocobo theme. There are plenty of little Easter eggs throughout, like Gilgamesh – another recurring character – wielding a fake Buster Sword, among other weapons. Final Fantasy XII is undoubtedly a Final Fantasy game. That’s more true than ever in The Zodiac Age, chiefly because it adds a Job system that was previously exclusive to Japan-only revision of the game. In the original Final Fantasy XII, all characters had access to the same skills, and even though you’d give them different areas of focus while levelling up, they’d eventually all become jacks of all trades. In The Zodiac Age, there are twelve jobs to choose from, mostly conforming to Final Fantasy traditions like White Mage, Black Mage, and so on. Each character can choose two jobs, and gain all skills for each of them, but no more than that – and once chosen, they’re set in stone. It adds yet another tactical dimension to the game’s combat, because character build now plays a huge role, but it also further drives home the Final Fantasy-ness of the game. The other improvements are mostly in the vein of your typical HD remaster: a crisp new user interface, increased texture and display resolutions, a rearranged soundtrack, and so on. It also adds one really handy new tool the option to speed up the game. At the press of a button, you can make the game run at double its normal speed (or 4 times, if you change one of the options in the settings), which comes in handy when you want to just grind away or trek across the world. It’s a really nice option to have, and I sincerely wish more games had similar systems. There’s also now an autosave, which is a godsend in a game where carelessness or little mistakes can quickly see you to the Game Over screen. None of these improvements are particularly groundbreaking, but they all help to present the game as well as possible for the modern day. 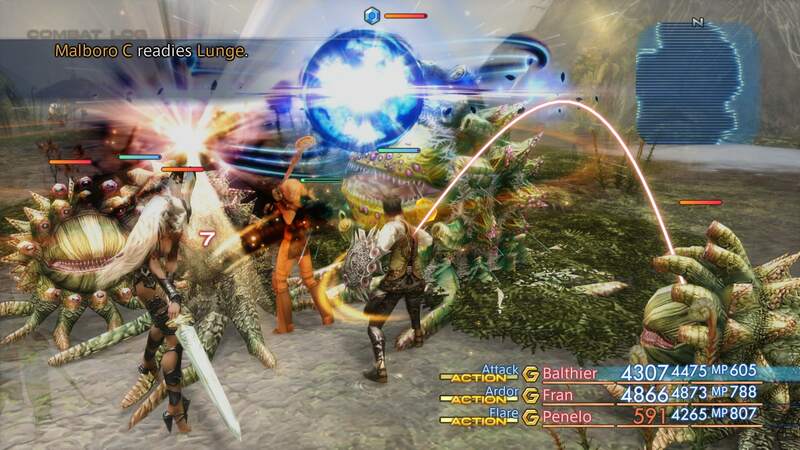 The best thing about Final Fantasy XII: The Zodiac Age, though, isn’t the little tweaks it makes so much as the way it’s given one of the most underrated Final Fantasy games a new lease on life. With a new console to live on, a new audience to reach, and a group of former haters who are older and (hopefully) wiser for it, Final Fantasy XII might finally get the love it deserves. I know it’s getting that from me. 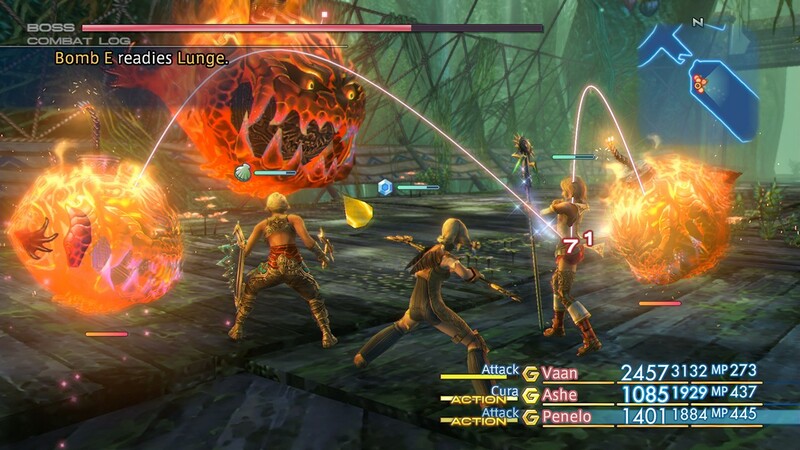 Final Fantasy XII: The Zodiac Age is developed and published by Square Enix. It’s available now for PlayStation 4.